Forms+Surfaces is developing two new interactive Design Tools that will make it easier than ever for you to create customized elevator interiors and to incorporate super-high-resolution images into architectural glass. 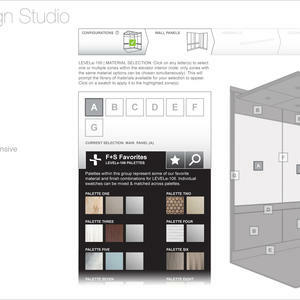 First, our Elevator Design Studio will take online elevator configurators to a whole new level. 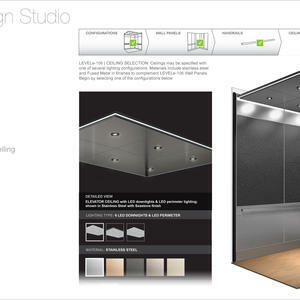 Designed by designers for designers, this easy-to-use application will provide you with immediate visual feedback as you “build” your elevator interior onscreen. 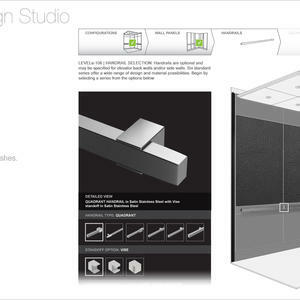 You’ll be able to select your elevator interior configuration, apply materials and finishes, complete the package with handrails and ceilings, try different combinations, and request budget pricing—all with a few simple clicks. 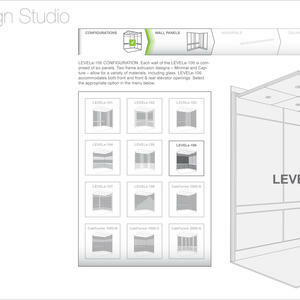 The Elevator Design Studio is slated for launch this Fall. If you’d like to receive email updates on this exciting new configurator, please fill out this form, and we’ll notify you when it goes live. Next, our ZOOM Digital Darkroom brings a new perspective to large-scale imagery in architectural glass. 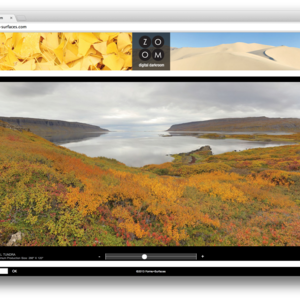 This remarkable tool will give you access to ZOOM images, and let you scale and crop them in limitless ways to create a personalized view from a single photograph. ZOOM images are super-high-resolution files created with thousands of photographs that are stitched and stacked together to form a single image. Two ZOOM libraries offer distinctly different options: Macro images are detailed close-ups of visually striking patterns like Davallia Fern or Azure Glass, while Panoramic images offer a sweeping view of different natural landscapes from the Golden Coast to Glacier Point. 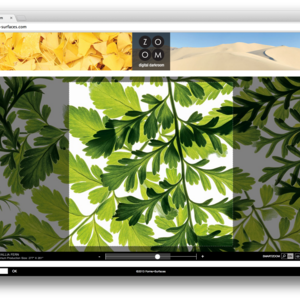 ZOOM was developed especially for customers who want to use large-scale images in our LightPlane Panels or ViviGraphix Spectra architectural glass, but not the challenge of providing or working with these giant files. 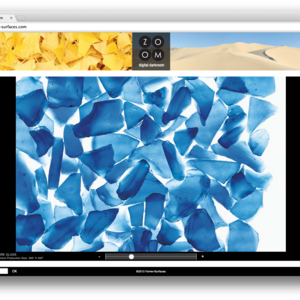 ZOOM images will come in sizes up to 240” x 120”, offering endless design possibilities. 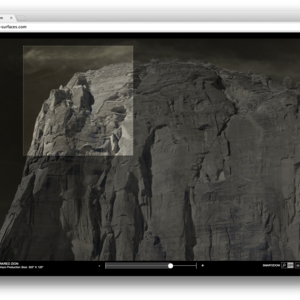 We plan on launching the ZOOM Digital Darkroom at the end of this year. If you’d like to receive email updates on ZOOM, please fill out this form, and we’ll notify you when it’s available. We look forward to offering these two new design tools to make working with Forms+Surfaces products easier than ever, and help you bring your creative vision to life.